gives you the full picture of your people. 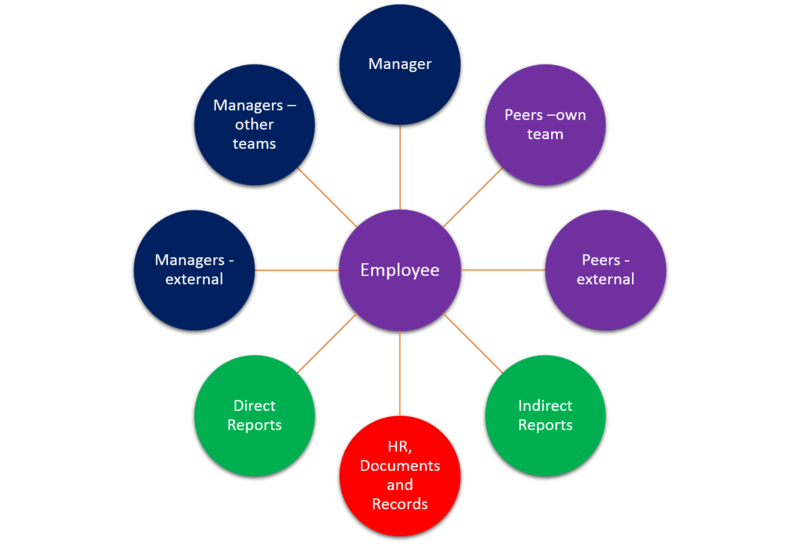 Activ Appraisals can be used as a complete standalone performance management system, but if you choose Activ Appraisals as part of the Activ People HR Software suite, you’ll have even more information, like absence management records, responses to handbook and compliance documents, and a complete training history. It’s never been easier to engage your people. Performance reviews should mean more than a tick in a box – otherwise, they are a wasted opportunity. Appraisals software helps managers turn an ‘admin tickbox task’ into a real two way opportunity to improve productivity, develop your people and engaging their focus like never before. Improving performance starts with improving the process and empowering line managers with more information about the people they are expected to manage. A system to record ongoing achievements, training (with the optional Activ Training module) and feedback at any time during the review period means when it’s time for an appraisal, software will be able to give line managers an accurate picture of staff performance across the review period. We’ve yet to find two companies who deliver performance reviews in the same exact way. 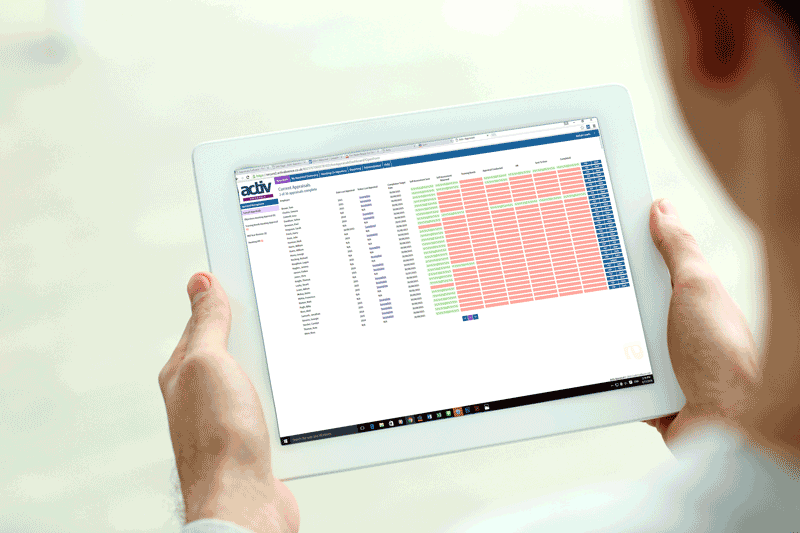 Like all of the modules in the Activ People HR suite, our appraisals software can be configured to work the way your organisation does. However, when using appraisals software, the process always starts by helping managers prepare ahead of any meeting, collating and reviewing the information you’ve already gathered across the review period. Taking employee feedback is an optional feature included with Activ Appraisals, but we believe engaging employees in their own performance review has a direct impact on buy-in and motivation. We recommend managers take advantage of the employee feedback process. With Activ Appraisals software, employee feedback is gathered via a self-assessment questionnaire. Whilst it is possible to create an individual questionnaire for each employee. the power of Activ Appraisals software means that multiple self-assessment questionnaires can be pre-defined in the system for different job roles. This ensures that the questions asked are only appropriate to the employee’s role whilst making it easy to conduct multiple appraisals for multiple staff members performing the same role. 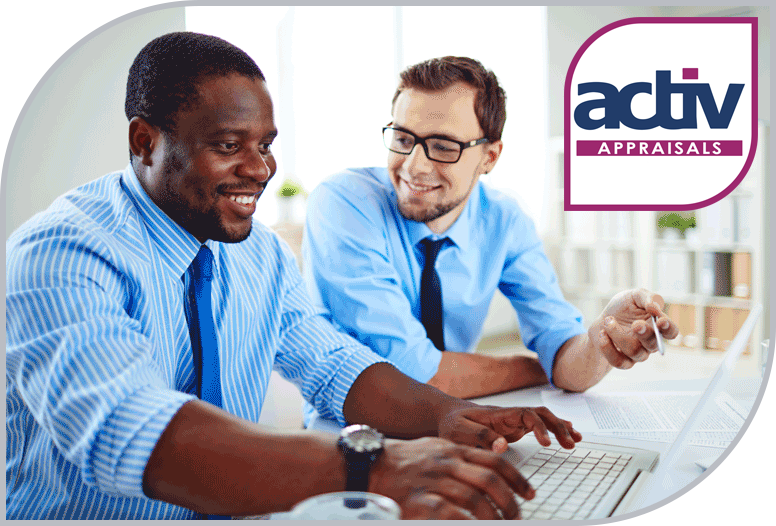 How do employees give feedback using Activ Appraisals? If the employee feedback tools are being used, when the manager commences a performance review, the questionnaire is automatically forwarded to the employee. The system will then issue reminders until it is completed. The employee can keep their comments saved in draft form until they are ready to forward them – once they are happy with their comments, they can save them and the completed feedback will be automatically forwarded to the manager for perusal ahead of the review meeting. Activ Appraisals Software enables managers and staff to view SMART objectives agreed during a performance review at any time, helping monitor ongoing performance. By being able to see goals agreed and review ongoing progress, managers can assess performance against agreed onjectives, monitor progress and adjust and review goals as needed. Not every employer collates additional feedback, however a 360° appraisal system for peer reviews is built into Activ Appraisals software. If desired, the employer can obtain additional feedback about an employee’s performance from peers, other managers and external suppliers as required ahead of the performance review meeting. This gives more rounded feedback and may highlight skills a line manager was not aware of. Administrators and line managers can create multiple questionnaires to ensure only relevant questions are asked. There is no ‘right’ or ‘wrong’ way to conduct performance reviews, the appraisals software system is as flexible as your organisation and managers can use the feedback options they prefer. To assess personal qualities, professional skills and technical abilities to do a given job role, you need an objective standard against which to assess them. Activ Appraisals software allows senior administrators to build a library of competencies to assess your people. Line managers can then use these as a measure of skills and development during appraisals and assessments. You can define both behavioural and technical competencies. Some competencies will be relevant to all employees, such as interpersonal skills, whereas others will be specific to their job, for example secretaries would require typing skills. Once built, competencies can be shared across all or a series of roles or can be made specific to a certain job role. If line managers identify competencies which are not being met, they can set SMART objectives to develop these skills during the review meeting. Activ Appraisals software guides managers to create only SMART objectives to deliver performance improvements. The system can also be configured to allow the managers to enter stretch goals for each objective to encourage the employees to push themselves to exceed expectations. Objectives can be given different weighting to help guide employees towards the organisation’s priorities. Once set, SMART goals can be monitored and reviewed at set intervals, on an ad hoc basis or at the next performance review. The appraisal or performance review is over and manager and employee have agreed expectations over the forthcoming period – so what happens next? Firstly, the manager will record the outcome of the meeting, ensuring that progress can be measured against the SMART objectives no matter how much time elapses between this review and the next. The Activ Appraisals software will then forward the completed review for additional sign offs if required, and will automatically generate notifications and reports for the specified recipients. However, the engagement doesn’t end there. Employees and managers can access the system at any time. They can both request to review or add new objectives at any time. The employee can submit a request for training at any time. The appraisals software will automatically notify both parties when changes or requests are made, maintaining a constant dialogue in between performance appraisal meetings. This ensures that engagement is an ongoing process, no matter how frequently you choose to formally meet your staff.